Actually, My dearies, Salsa has two meanings. First, It is a fusion of the beat rhythms: Son, Cuban rumba, Mambo, Jazz, forming a mixture of rhythms and styles, and Secondary a spicy tomato sauce. So we can have a Swing dance and Sabor (flavor) at the same time, so let's mix it together and start the Fiesta. 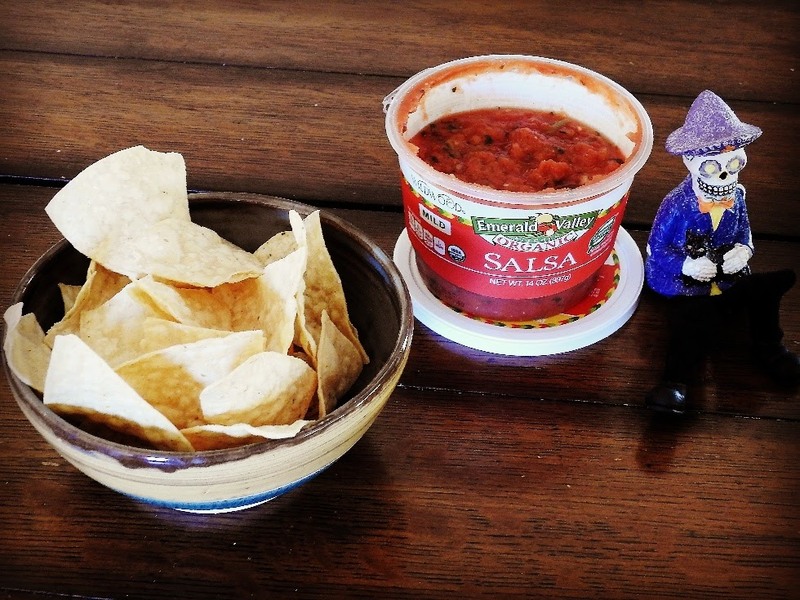 Who has ever mentioned that we need special occasions similar to Cinco de Mayo to celebrate with Salsa and I mean both salsas? Right!. By the way, I deserve some margaritas for the reason of this post. Then, let’s just proceed with it. I tried Salsa by Emerald Valley Kitchen. And I am somewhat confident; you will love this 100% Organic Salsa. It tastes fresh, savory and it has the perfect thickness. This Salsa has the ideal combination of fresh garden ingredients as tomatoes, onion, garlic, cilantro, jalapeno and chili peppers. It is seriously addictive. So It might be suitable with a snazzy dessert in hand, as a spread for chips, as a topping on your dishes, any Mexican meal or why not, eat it alone too. It comes with three levels of heat: Mild, Medium, or Hot. For my taste, Mild is the best, though not everyone has the same palate, so I challenge you to try all of them. You won't regret at all! Organic Tomatoes, Organic Apple Cider Vinegar, Organic Cilantro, Organic Onion, Organic Jalapeno Peppers, Organic Chili Flakes, Organic Garlic Powder, Organic Chili Flakes Organic Cumin Powder, Organic Chili Powder, Water, Sea Salt. So my dearie are you ready to make some moves with your hips dancing salsa and enjoying some yummy salsa at the same time? Well, indeed, I do!